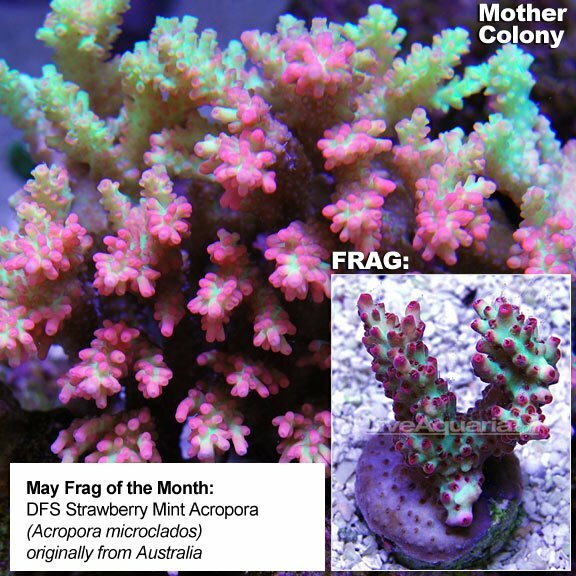 Did you know that LiveAquaria has a “Frag of the Month”? 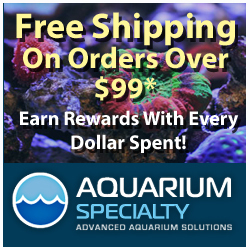 Every month, the online retailer posts a new hot item on their Facebook Page, showing off an aquacultured piece that they’ve grown in house at their Rhinelander, Wisconsin facility, home of the famous “Diver’s Den”. Throughout the past months the special frags have included: Purple Efflatounaria, Cupid’s Heart Favia, and a Mummy Eye Chalice. This month’s frag is another stunning piece, and one that’s seen an intense following in recent memory. It is an Acro of the “Strawberry Shortcake” variety that first became all the rage back in mid 2010. The team from Rhinelander are calling their frag the “Strawberry Mint” acro. We can see how they found the name for this coral, the pearlescent colors remind us of an ORA Red Planet Acropora. LiveAquaria states this particular coral was originally sourced from Australia although the frags and colony are most likely well adjusted to captive conditions. These frags may even be covered under the Diver’s Den Aquacultured Coral 30 day guarantee. We have not seen these on coral vendor lists in a while, and this may be your chance to pick up a centerpiece coral for your tank. 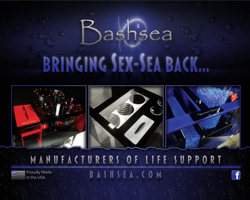 This frag will be coming in the Diver’s Den section of the their website, so be sure to check their email notifications.